This morning I started my Google Chrome browser as I do every day. The text size was suddenly bigger than normal, on all sites. I did not change any setting anywhere. If I set the zoom to 90% it looks fine, but this breaks various things (e.g. 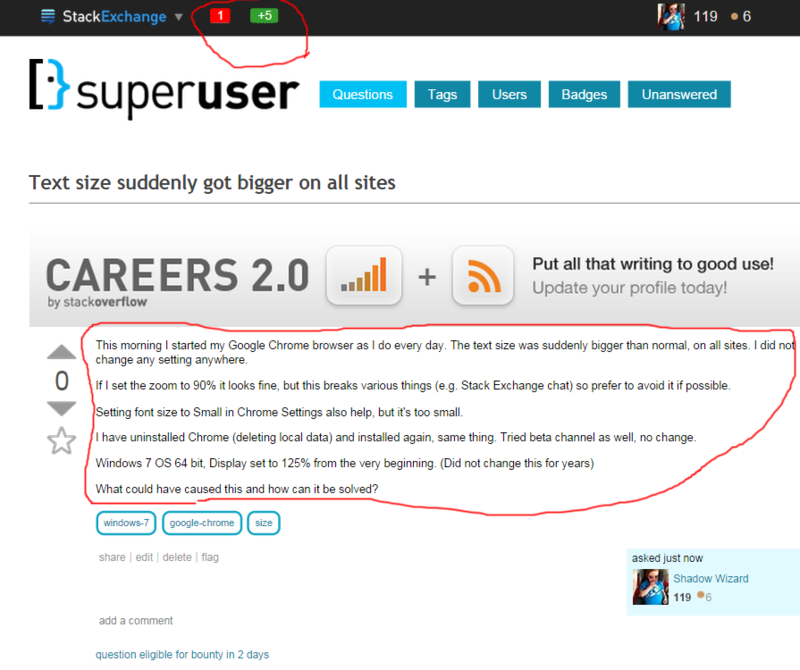 Stack Exchange chat) so prefer to avoid it if possible. Setting font size to Small in Chrome Settings also help, but it's too small. I have uninstalled Chrome (deleting local data) and installed again, same thing. Tried beta channel as well, no change. What could have caused this and how can it be solved? While the body itself is small (as I changed the font size in Settings), other things are still huge and not affected by the setting. Choose Properties and then add /high-dpi-support=1 /force-device-scale-factor=1 to the existing Link to your path to chrome.exe. 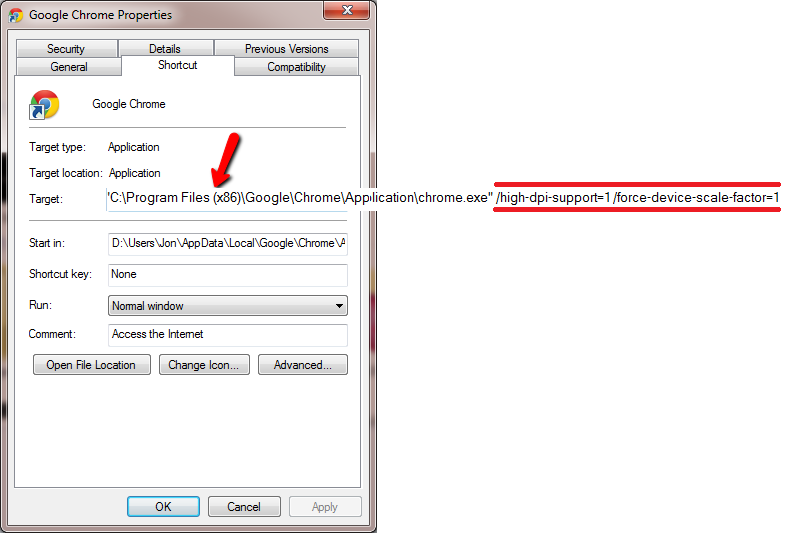 You can also fix this issue by turning off the "Disable DirectWrite" advanced setting in Chrome. i.e. Disable the setting that is called "Disable DirectWrite". Do not Enable this setting. Not the answer you're looking for? Browse other questions tagged windows-7 google-chrome or ask your own question. Why are my Chrome fonts so small? Win8.1 x64 Chrome fonts look terrible all of sudden? Google Chrome: increase text size instead of zoom? How to correctly reset Windows 7 screen DPI back to normal (Smaller 100%)? What could be injecting body style=“zoom: 0.71” into some pages on chrome?